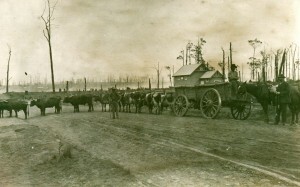 2013 marks 100 years since the forming of the Country Roads Board (CRB). This was the Government authority responsible for the maintenance and construction of Victoria’s arterial road network. The first Chairman was William Calder who remained in that position until his death in 1928. The Calder Highway was named in his honour. The Leongatha Historical Society has been selected as one of two venues in Gippsland to host the VicRoads centenary exhibition. The other venue is Bairnsdale. The title of the exhibition is VicRoadsConnecting Victorians for 100 Years and will feature photographs and documents related to the history of major roads in this State. One feature will be a portrait of William Calder. There will also be activities for children. 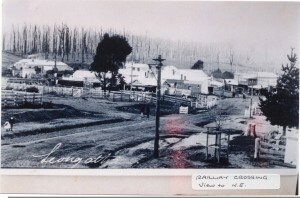 Leongatha Historical Society will have on display also photographs of main roads over time from its own collection. In edition to this other local historical societies have contributed some photographs of their respective areas.